Over 110 teams are set to put down their books and lace up their boots in the upcoming season of the Colleges and Universities Football League. The first ball is set to be kicked on Tuesday 9th October. FAI CEO, John Delaney, who was on hand to officially open the season, said: “Third Level Football continues to rise in prominence within the domestic game. 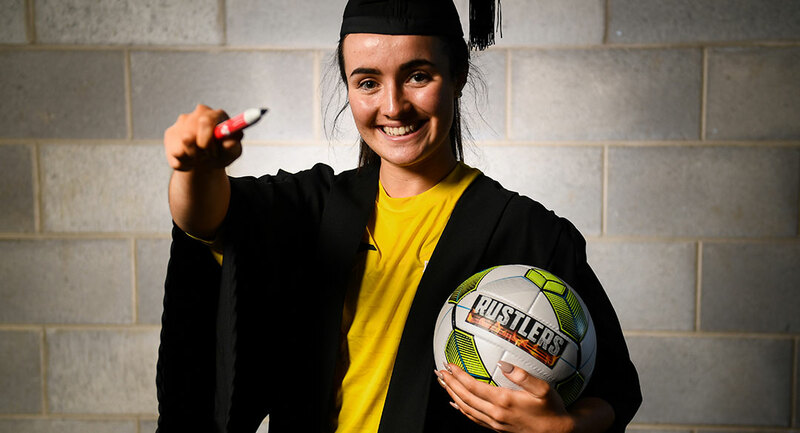 With more players choosing to stay at home and play in the National Underage Leagues, it is logical for them to also pay due consideration to their education. 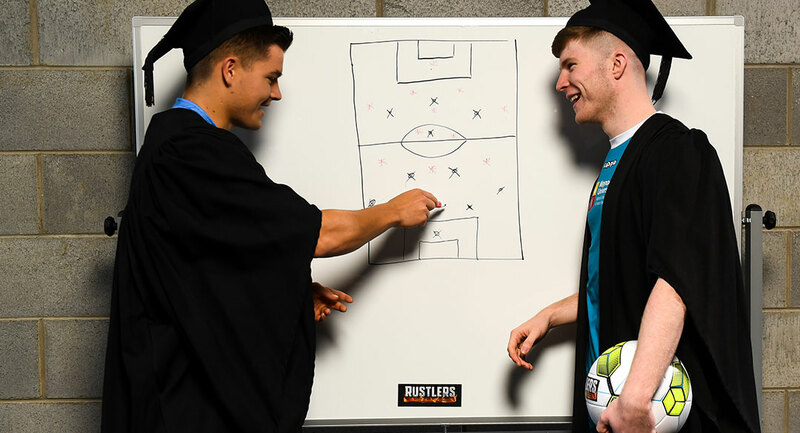 Commenting on the day, Adrian Lawlor, ‎Marketing and Business Development Director- Kepak, said: “We are very excited to mark the launch of the second year of the Rustlers partnership with this series. Last year was a real success and in conjunction with the FAI and the 3rd level governing bodies, we really raised the profile of and excitement around 3rd level football in Ireland. This can only serve to encourage the idea of young people combining sport and education, which was one of our major motivations in entering into this sponsorship agreement”.